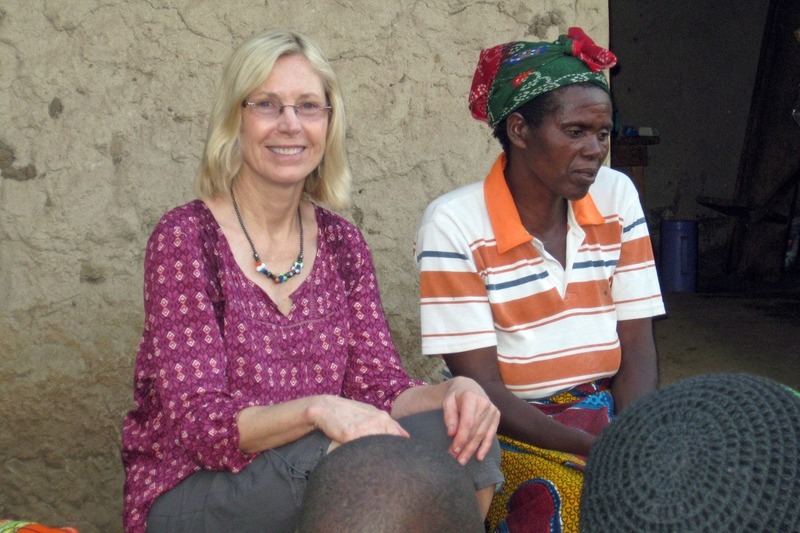 I’m Jeanne, the founder of Peopleweaver, a US non-profit working in Africa. 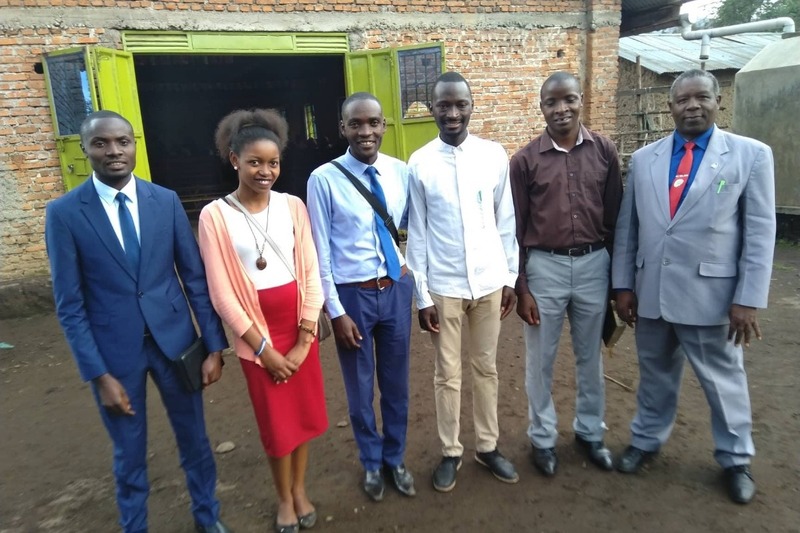 We have a partnership with “CIYOTA”, a Congolese refugee self-help organization, to provide educational opportunities to those not in school, to those who struggle to pay for their education, and to adults who had their education interrupted by conflict in the Democratic Republic of the Congo (DRC). For the past 10 years we’ve worked with Congolese girls and women – some living in the Kyangwali Refugee Settlement in Uganda and others living in the DRC. I'm shown here with my friend Sofia Basoda, one of the Congolese refugees who requested an adult school so they could learn to read and write. Sofia and her surviving children lived in Kyangwali for over 15 years – her husband and sons were killed in the conflict in the DRC. Since becoming a refugee, she has suffered from depression. She is known in Kyangwali as a leader and a good business woman. 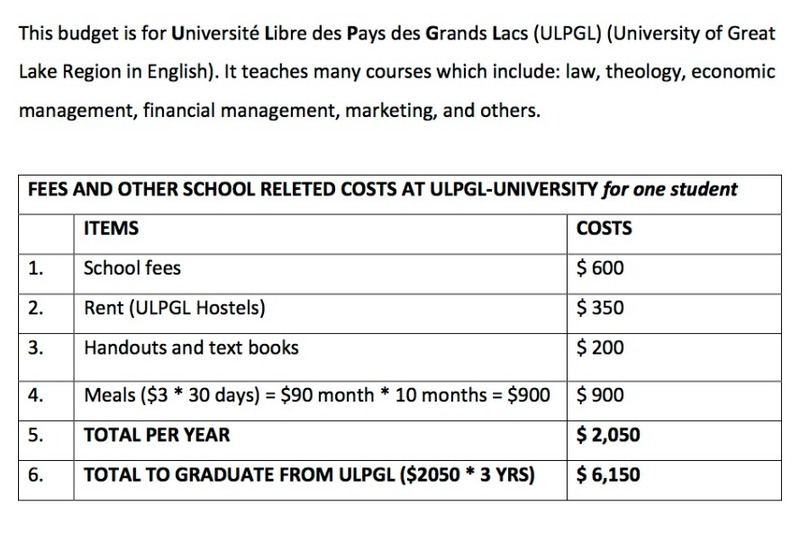 Send Prisca, Josephine, and Elosha to the university in Goma (a city in the DRC). 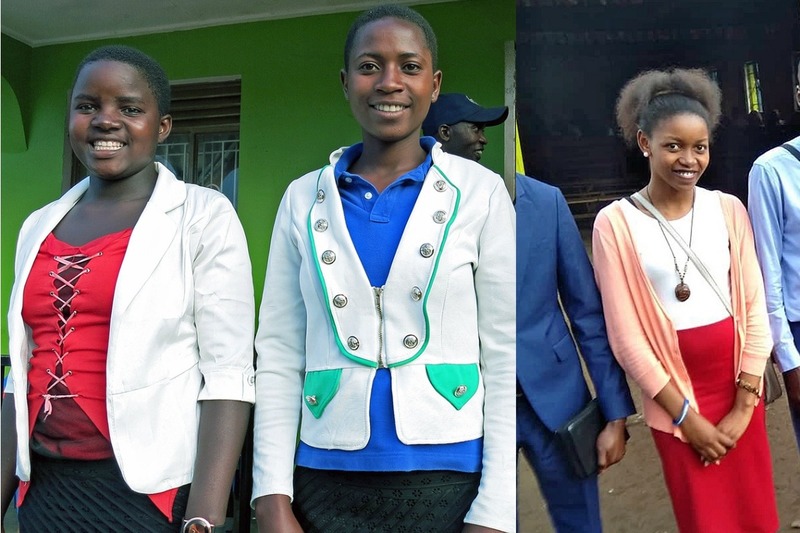 In 2017, with sponsorships from people like you, Prisca, Josephine, and Elosha were able to finish secondary school (high school). Now what? There are few jobs and very limited opportunities for girls in the DRC. They usually get married and start having babies. Instead, THESE GIRLS WOULD LIKE TO GO TO THE UNIVERSITY. With a university degree, opportunities open for them – opportunities for jobs, for leadership positions, to mentor other girls, to help their community – and AN OPPORTUNITY NOT TO GET MARRIED UNTIL THEY DECIDE TO. Since Belgian colonial rule French has served as the official language of the DR Congo. In 1960 the DR Congo was given independence from Belgium, but French continues to be the official language. All three girls are taking an intensive English class. 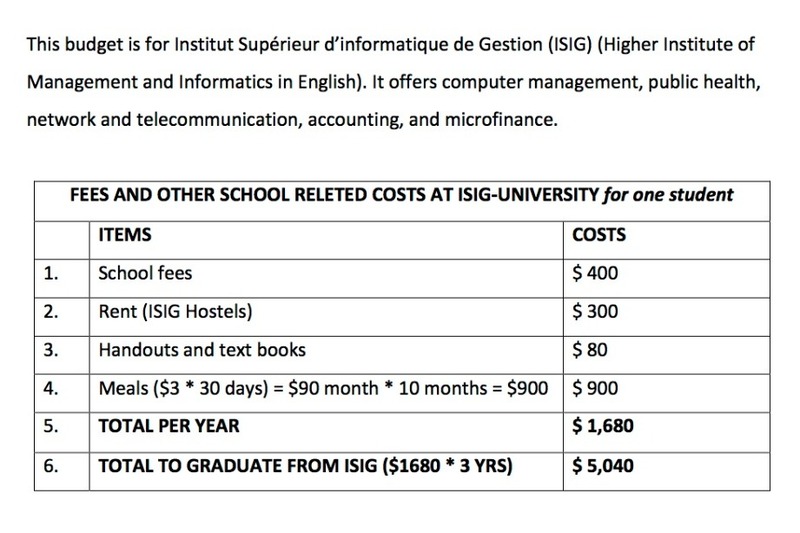 It is believed that the ability to speak English will help open the university door for them. Prisca would like to be a "nurse and a woman leader." "There was a war in my village where many houses were burned and people killed." At that time her family fled from the DRC to Uganda, where they were re-settled in the Kyangwali Refugee Settlement. Because of malaria and other diseases in Kyangwali, they returned to the DRC, but fled again for a year because of recurring fighting between rebels and the government. They have now returned to the DRC. Prisca graduated from Primary school but her father could not pay for Secondary school (high school). She found a cheaper school and worked carrying sand and bricks to pay for school supplies. The money she earned was often not enough and when this happened she was told to leave school. After receiving a school sponsorship from Peopleweaver she was able to graduate Secondary school. Josephine would like to become a teacher. "I am now volunteering at the organization Coburwas to help women." Josephine was born in the DRC, where her parents were farmers. Because of war she and her family fled to Uganda and were re-settled in the Kyangwali Refugee Settlement. She started school in Kyangwali. After living there for several years, they returned to the DRC. When Josephine was in Secondary 4 (high school) her father was not able to pay her school fees and she was forced to drop out. For a while someone living in her village helped her with school fees but eventually stopped. Peopleweaver sponsored her and she has graduated Secondary school. Elosha would like to study engineering architecture and promote practical work for women. Currently, she volunteers to improve gender problems in her community. Elosha was a 3-year-old when her family fled from the DRC because of war. "At the age of six, our mother left us because of social-economic reasons." Since that time Elosha and her siblings have lived with their grandmother. To earn her school fees Elosha struggled to sell charcoal, kerosene, bread, powder soap, and women’s hair products. Often she did not earn enough for school fees and was forced to leave. Only after being sponsored was she able to graduate from secondary school. Elosha is a talented musician and performs with the Barza family singing group, leading a women's choir. She also performs individually. Hello, I’m Jeanne. I am the Founder of Peopleweaver. For the past 10 years, we’ve partnered with Congolese girls and women – some living in the Kyangwali Refugee Settlement in Uganda and others living in the Democratic Republic of the Congo (DRC). I'm shown here with my friend Sofia Basoda. She lived in the Kyangwali Refugee Settlement for over 15 years. Sofia, is one of the Founders of the Tuunagane Women's Group in Kyangwali. She is known for being a good business woman and was one of the members who asked to be given an opportunity for an education. She is a refugee from the DRC. Her husband and sons were killed in one of the wars in the DRC, since this time she has suffered from depression.